I am a huge lover of jewellery and love to dress up and accessorise my outfits using beautiful rings, necklaces and bracelets. I usually opt for quite simple pieces that can easily go with a range of different outfits. I have recently been introduced to the beautiful and very affordable online jewellery shop; My Boho. They are a family run business with years of experience of selling an affordable range of boho jewellery in the UK. My Boho offers a huge range of some amazing pieces of Jewellery from anklets to ear cuffs, hair pins to necklaces and belly bars to body jewellery. 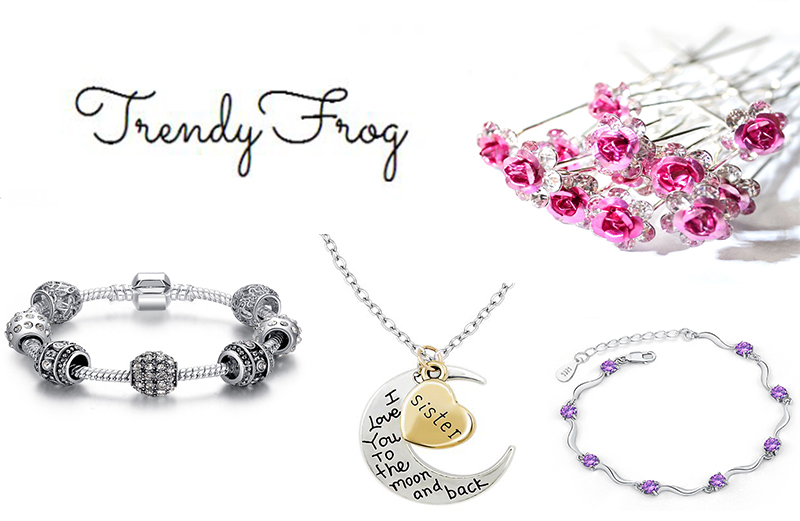 What I also love about Trendy Frog is that whether you are shopping for a boho-beach holiday or a night out, there is something available for you. 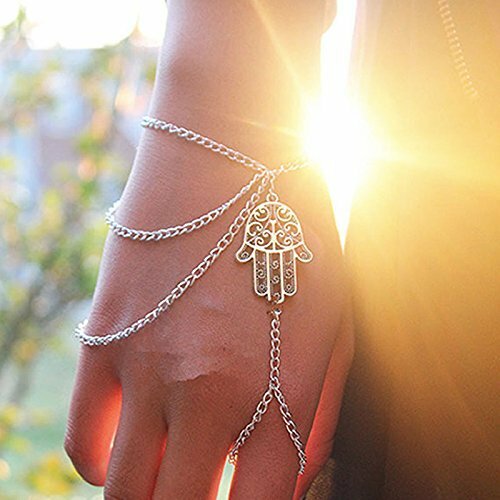 I am in love with this beautiful Hamsa Hand Finger Chain Bracelet and it is one of my favourite pieces from the range. I think that it would be a perfect piece of jewellery to take away on holiday with you. It is so pretty and delicate and at only £4.45 it is an absolute bargain! This Silver & Turquoise Boho Anklet is such a lovely piece of jewellery that is perfect for summer. It would look amazing with some strappy sandals and a little black dress for a holiday evening look, or paired with flip flops and a long flowing skirt for a more relaxed summer look. At only £4.95, it seems crazy not too! Have you bought anything from My Boho? What are your favourite My Boho Frog products?